Sprucing up my daughters&apos; room on a budget has been a breeze thanks to Olive Kids. I purchased two items from the bedding and decor site--both had big impact without costing a bundle. I started with drawer knobs. 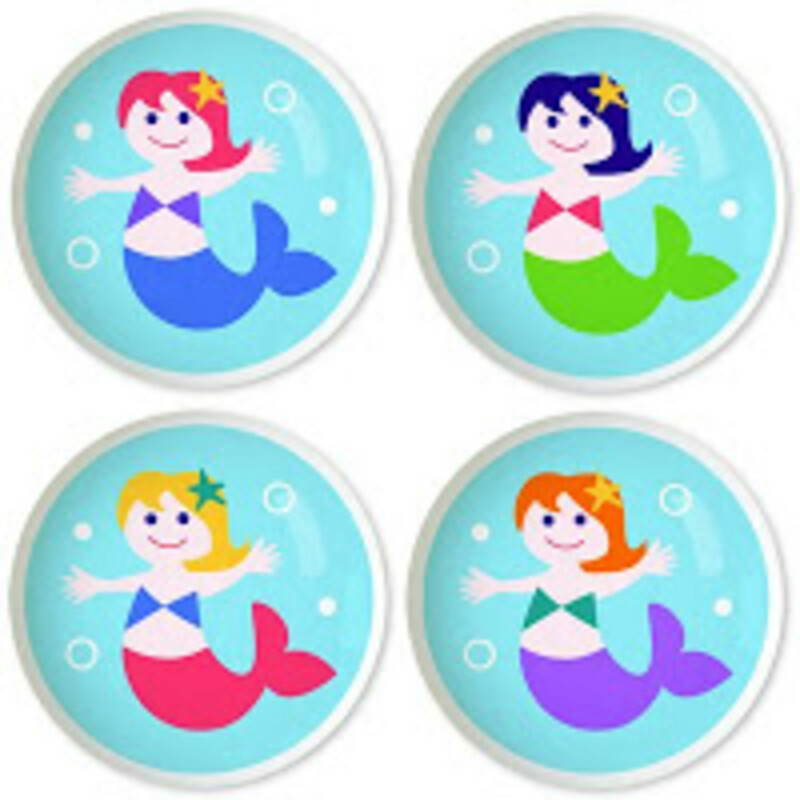 Since my girls, are nuts about mermaids these knobs were ideal. (Set of 4 $19.95). That&apos;s right. For less than $40 (I needed eight) I was able to transform a drab dresser into something fresh. For boys check out the pirates, dinosaurs and rockets. Next, it was time to stop marking on the walls and step it up. I snapped up a personalized growth chart. Mermaids again for me, but I am showing you the Out of This World version so things don&apos;t get to girly on this post. Cost: $49.95 for a high quality canvas accent for the room. It is really artful and worth every scent! Win it! 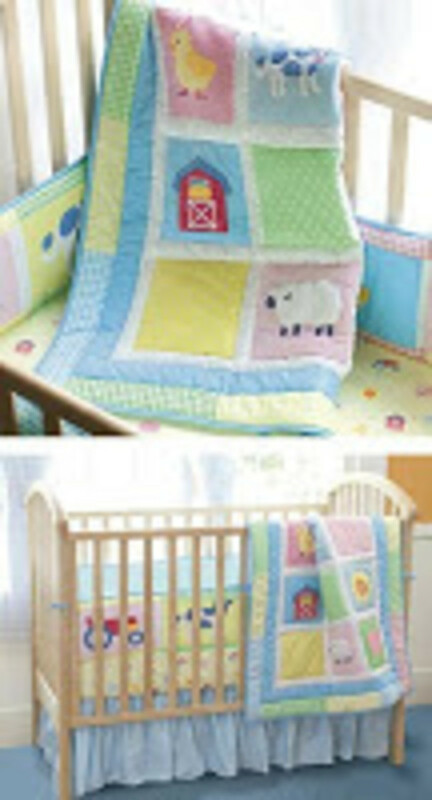 My friends at Olive Kids are giving away a Country Baby 3 piece crib set. Cute, cuddly country farm animals, tractors and barns cover the 100% cotton bedding. Value $99. To enter, visit Olive Kids here and check out the bedding collection. Come back here and leave a comment with your favorite. And OK is hosting their own contest here for personalized Easter place mats! Be sure to add your contact email. Contest open to US residents ages 18 and over. Contest ends 3/31/09. Winners will be announced on a blog post. If winner fails to respond in three days a new winner will be chosen.